Do you have a cleaning emergency? Spilt some wine on the carpet? Had a plumbing disaster? Broken glass? We can help. Give Claire a call for emergency cleaning. Your dedicated maid2gleam cleaner can visit your home as regularly as you need to do tasks chosen by you. 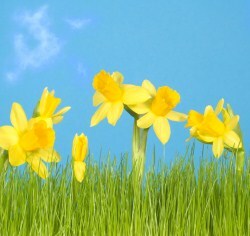 Time to clean out the cupboards, clear out under the bed and get down behind the furniture? Your maid2gleam cleaner is here to help. Call us to tell us what you need. We can offer steam cleaning of tiles and cupboards, curtain cleaning, over cleaning, fridge and freezer cleaning and much more. Click for prices. Ironing can pile up and become a major task. 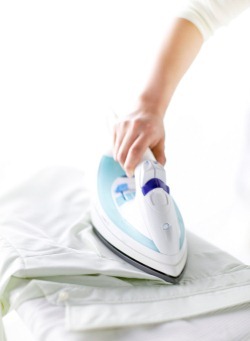 We can take the ironing off your list of chores, leaving your clothes crisp and crease free. Our ironing service can be provided on a regular basis and undertaken within your home, or the clothes can be taken away and returned to you. Call Claire to find out more. Prices. 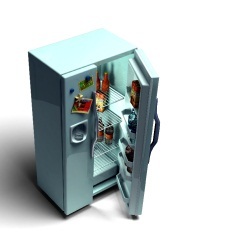 How clean is your fridge or freezer? Your maid2gleam cleaner will sanitise your fridge or freezer, leaving it safe, clean and fresh. It can be difficult to keep on top of dirt build up with spillages, sticky fingers and remnants of loose vegetables. Contact Claire to have your fridge or freezer cleaned. Prices. Need to let your property? 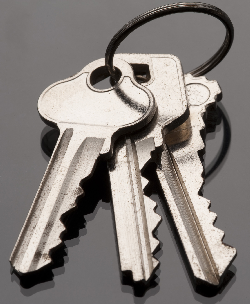 Need to get your deposit back on your rental property? 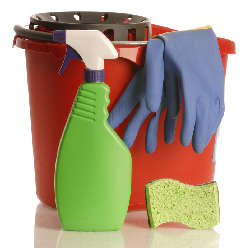 maid2gleam work with tenants and estate agents to provide end of tenancy cleans. 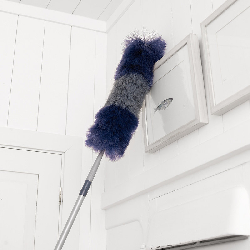 Your maid2gleam cleaner will provide a fast and efficient service to get your property clean and ready for re-letting. If you are a tenant and need to get your deposit back? We can help. Our service includes all aspects of property cleaning including oven cleaning, carpets, windows, doors, and gutters. The dust gets everywhere! If the builders have left a bit of a mess or you are still finding dust after weeks of their departure, give us call. We get into all those hard to reach places and do a deep and thorough clean. Our service includes carpets, windows and doors as your require. 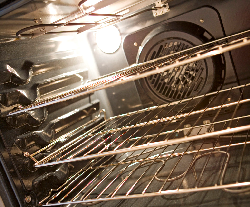 A dirty oven creates odours while cooking and reduces the efficiency of your oven. Take the effort out of cleaning with maid2gleam’s oven cleaning service. Contact Claire for a clean oven today. For a guide on prices. We clean windows up to two storeys and conservatories. 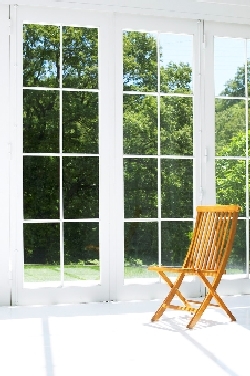 maid2gleam provides one-off window cleaning and regular window cleaning to suit your needs. Our experienced maid2gleam window cleaners will leave your windows sparkly clean both inside and out. Conservatory cleaning requires specialist skills to ensure that sloping and flat glass surfaces are cleaned effectively. Call Claire for our experienced professionals. Blocked gutters can damage your property. maid2gleam can inspect and clean your gutters now. When gutters get blocked by leaves and debris, water overflows which can damage your property sometimes leading to problems with the roof and damp on the inside of your home. To get your gutters inspected and cleaned, give Claire a call.